Many customers dream about having as a partner a firm where they can bring in their ideas and embody them into real products. The ideology of new products' design is based upon the solid-state modeling that allows not only to create the design of the product and to conduct its computer assembly, but also to evaluate design as a whole and to judge the solutions that were adopted during the projecting stage. The development of tooling is conducted by the way of implementation of CAD/CAM/CAE systems using the mathematic models of the parts created during the product's design stage. This ensures high quality and accuracy of the press tools and moulds being produced. If necessary, the overall analysis of product's integrity during moulding as well as strength analysis are conducted. RODEN owes its success on the world's market primarily to the high quality of the products that is set in at the stage of tooling design. 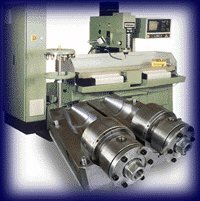 The tool manufacturing specializes in manufacturing of press tools, moulds, polygraphic cliches, matrices for vacuum-moulding, details of complex configuration. Extensive experience of working with the digital control machines allows to produce unique in their complexity electrodes for electric discharge machining, parts with double curvature surfaces, engrave polygraphic cliches of any configuration. The traditional selection of technologies used by tool manufacturers is enlarged by such a unique technology as Ni-Co galvanoplastics for the production of forming moulds' inserts according to the master-model of the product. RODEN pays special attention to the quality of moulding and the plastic materials used in the production process. Here our ideas are embodied into real products. The moulding of plastic articles is conducted on injection moulding machines with the volume of injection from 45 to 250 cm3. The technical products, airplane and armored technics model kits are in the quantity production.